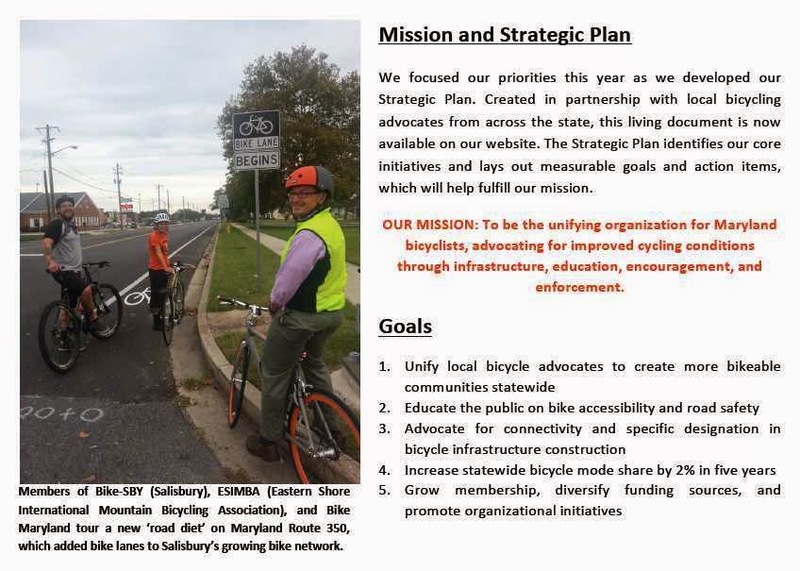 BikePGH: A monumental year of change and growth! 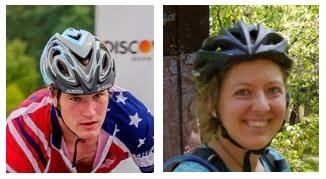 Reached 2800 members with 638 people becoming first-time members of BikePGH this year. 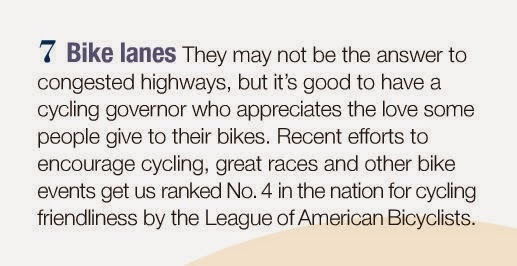 Pittsburgh has seen a 408% bike commuter rate increase since the year 2000 – the largest jump in the nation. The numbers also show a doubling of our bike commuter rate since 2007. 350 volunteers worked the equivalent hours of a full time staff person! 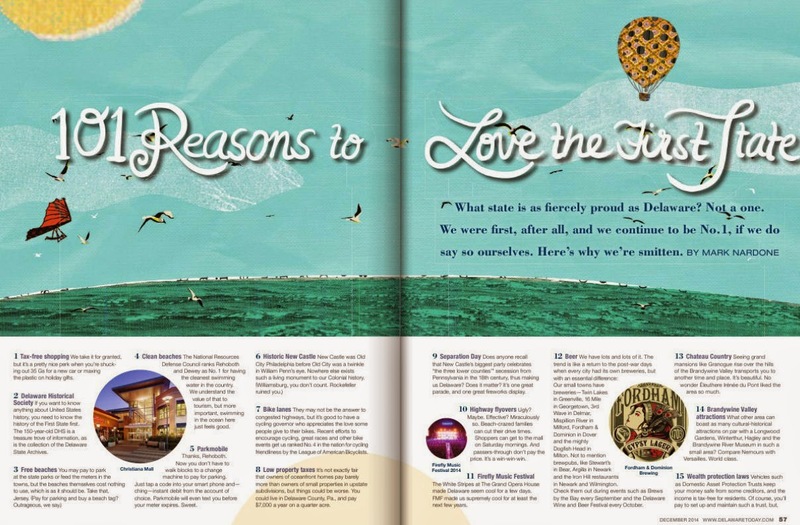 From office work to pop-up events to major events like Open Streets. 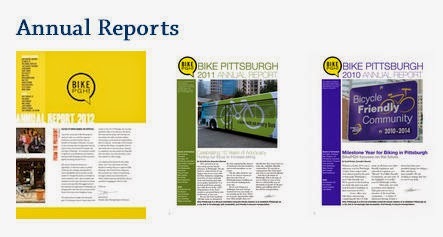 Check out BikePGH's Annual Report webpage HERE. 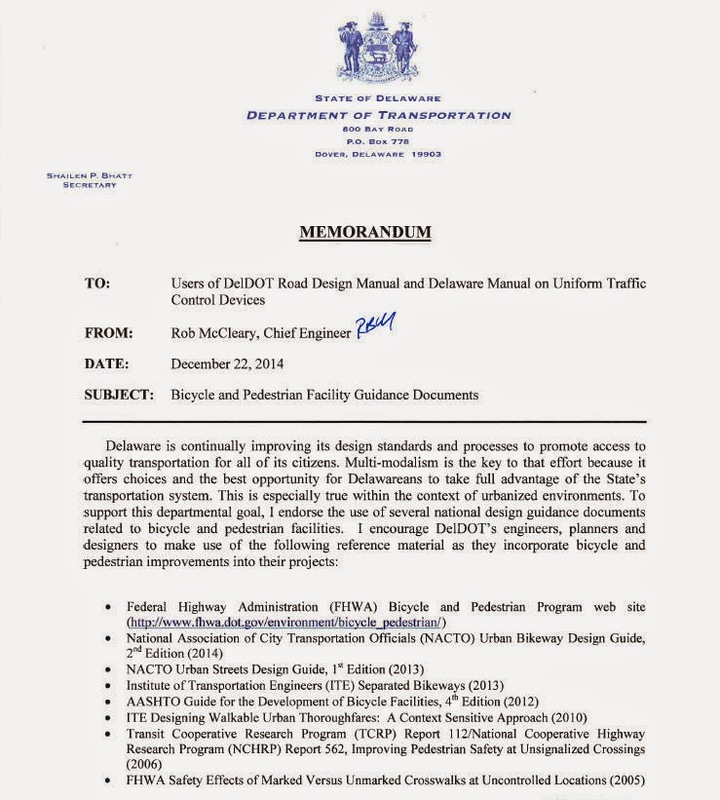 Poster's note: In Delaware, where do your bicycle advocacy donation dollars go, especially those solicited in memorial donations? 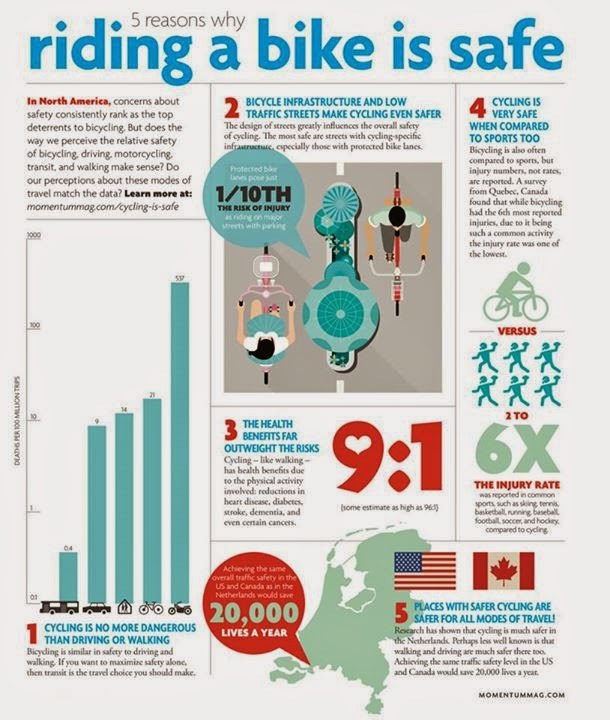 We encourage our readers to contact Bike Delaware, and ask them to publish an Annual Report, that should include relevant information as seen both in Pittsburgh, and here in Philadelphia. Ask them to cultivate a culture of accountability and transparency, including the availability of their meeting minutes. 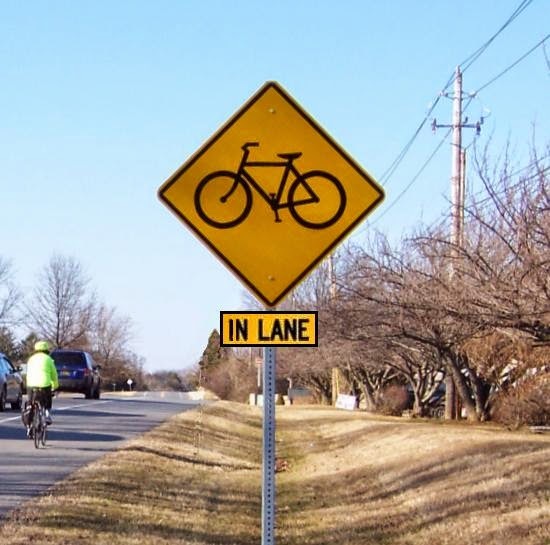 Delaware Bikes advocates asked DelDOT to install a crosswalk on the SW side of the Elkton Road/Christina Parkway intersection, but it appears those efforts have failed. The plans have already been drawn up, and the project should begin next year. Read all about it here, including photos. 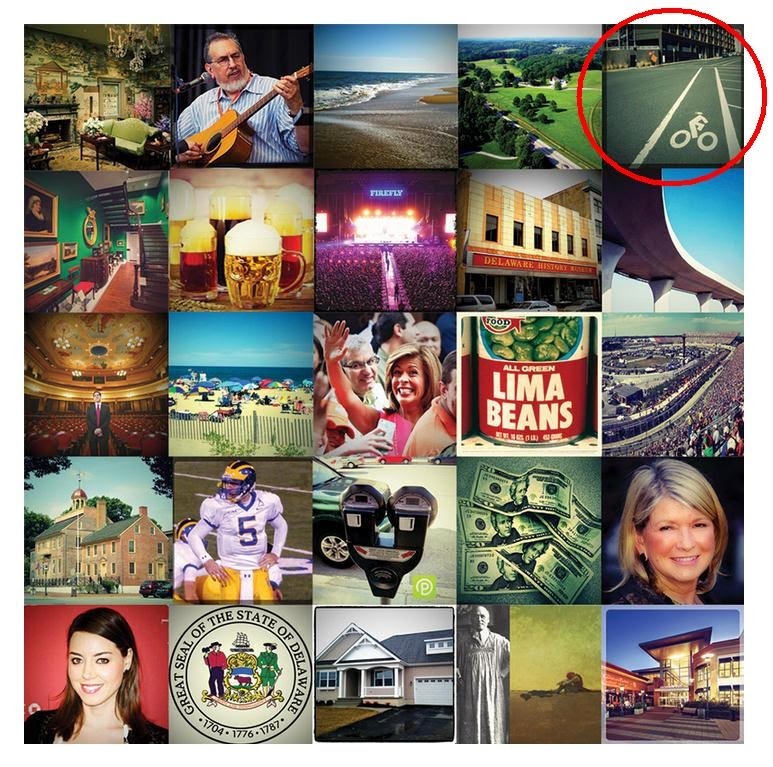 "Summer 2015 is best case, and ADA or other issues could further delay the repaving project. 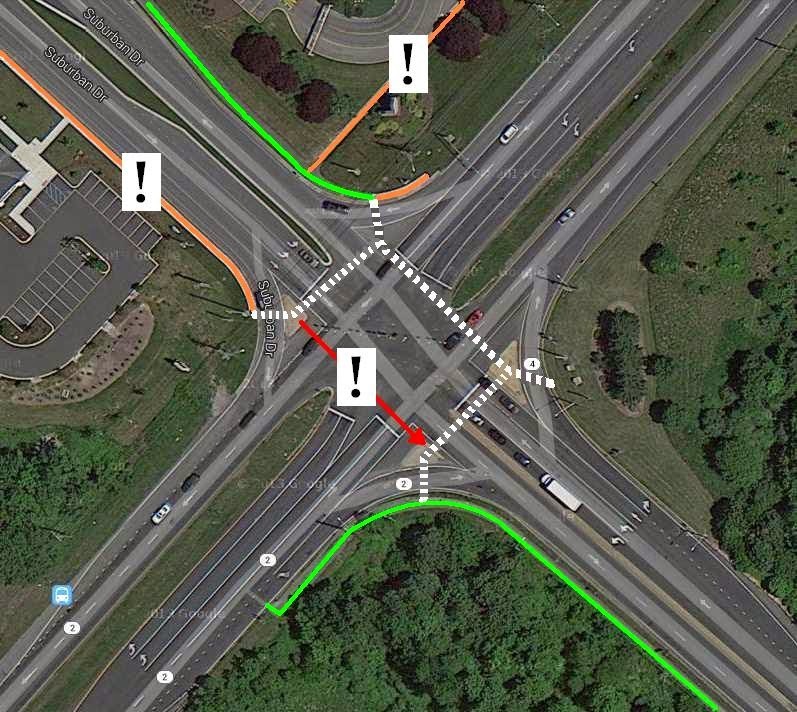 I understand your concerns with the proposed crosswalks at 4/Elkton Rd, but design is (and has been) complete and there is not the time or money to redesign at this point. After we get this implemented we can consider if the 4th crosswalk can be added, or if it can be added as part of the widening project." We cannot really predict how popular the Christina Parkway parallel bike path will be among the hundreds of students housed at "The Retreat". Time will tell how many will want or need to use it, and the only thing we can do is hope that safety will not be a problem. In the map above, bicyclists wishing to exit "The Retreat" to the north and west of this intersection will find themselves dealing with an array of pedestrian facilities and a curb-hugging bike lane that does nothing to help them navigate through the intersection. The 3 sides of crosswalk are not likely until Summer or Fall of 2015 - well after Retreat students are moved in. 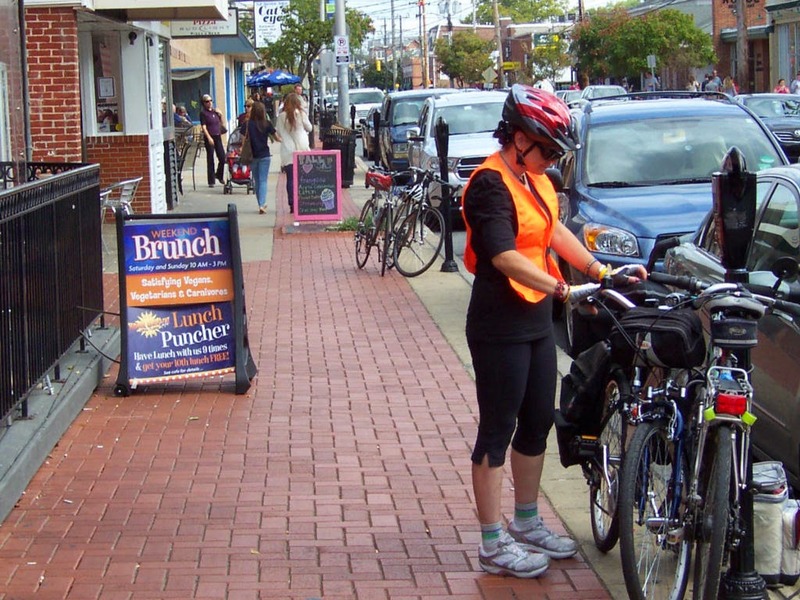 Legend: Orange: Sidewalks, which are technically illegal (and dangerous) to ride on . 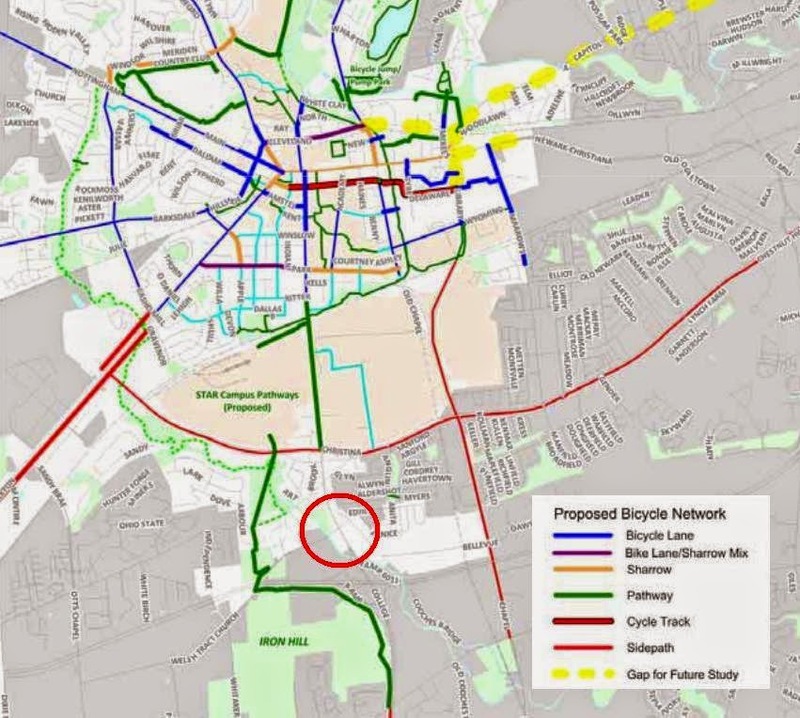 Green: Existing parallel bike path facilities. 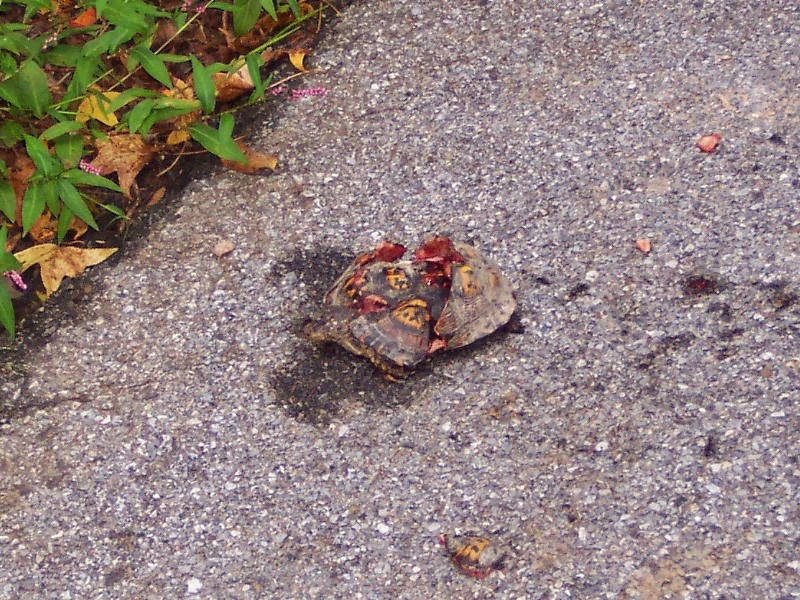 Red: non-crosswalk side and direct connection to Christina Parkway bike path. 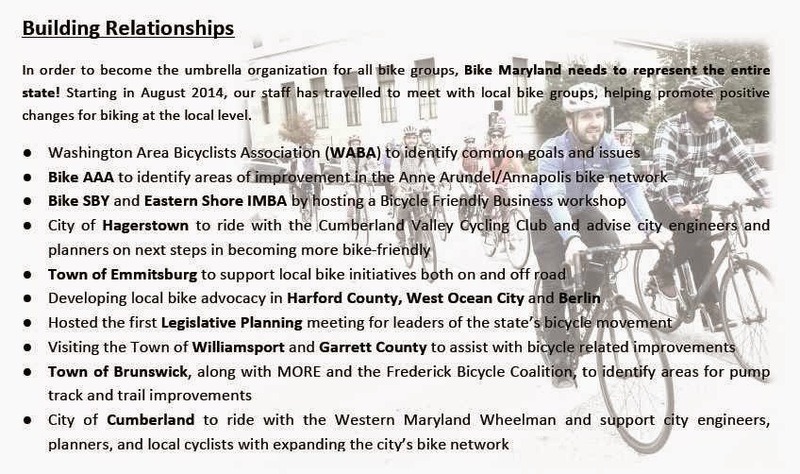 Bike Maryland is the U.S. model for balance, transparency, and a big tent. 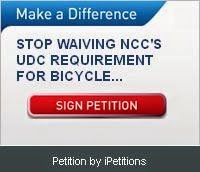 Every facet of bicycle advocacy is covered under one umbrella, with a structure that encourages and achieves a broad level of participation. 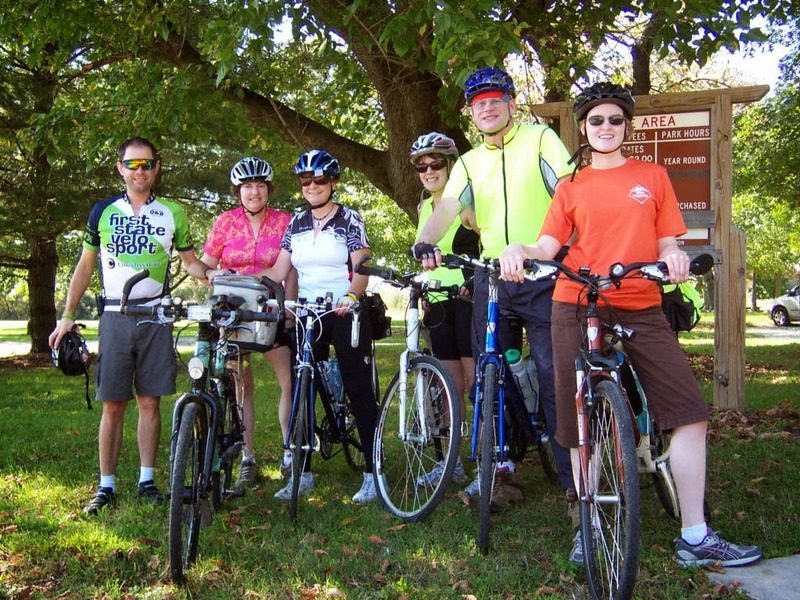 Learn all about Bike Maryland on their About Us page. Check out their strategic plan "Looking Back and Moving Forward". Access their 2014 Annual Rreport below in pdf. 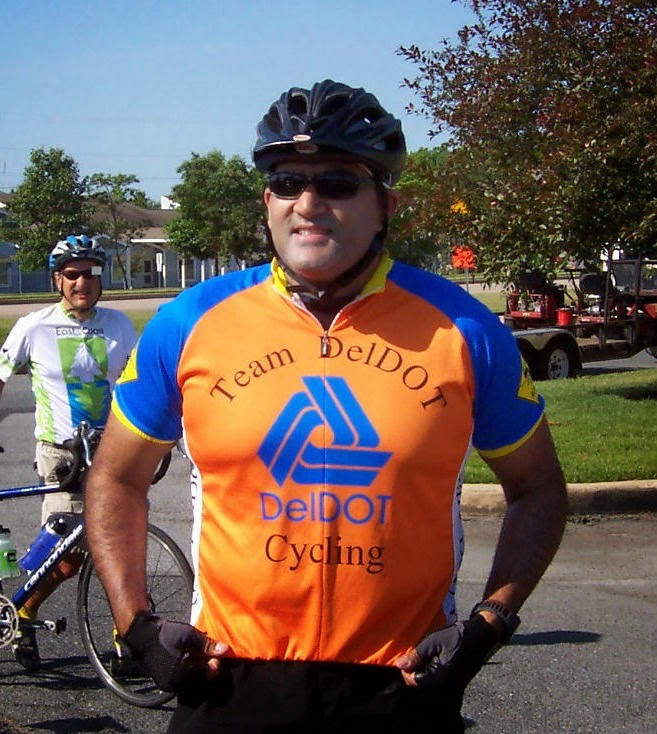 Delaware On-line -- Gabriel F. Pardo, the DuPont Co. manager who police said killed a Hockessin bicyclist in September and fled the scene, now faces manslaughter and child endangerment charges. 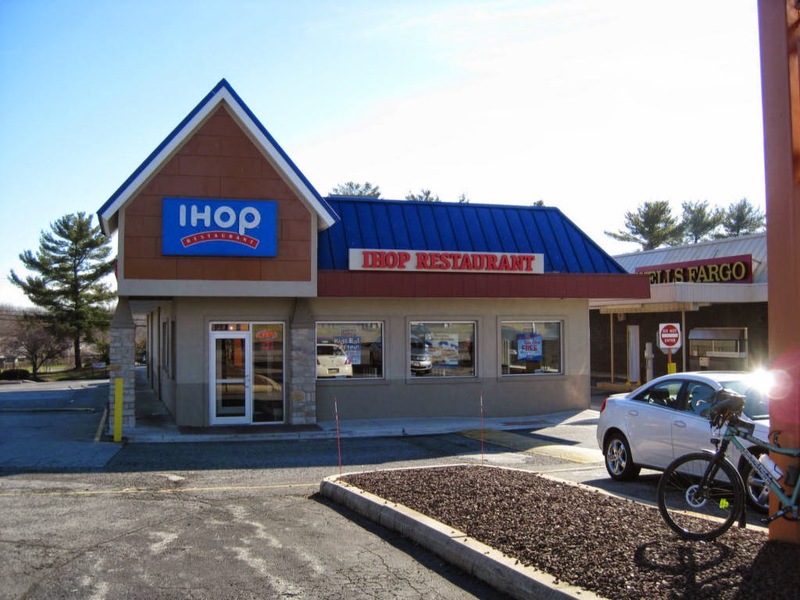 The indictment recently handed down by a New Castle County grand jury is the first public disclosure that the 44-year-old Pardo had his children in the car when his black Audi sedan struck Phillip Bishop on Brackenville Road about 8:45 p.m. on Sept. 12. The indictment doesn't say how many children were in the car, but Pardo's attorney Joseph A. Hurley said his client's three sons, whose ages are about 5 to 10, were inside his car. 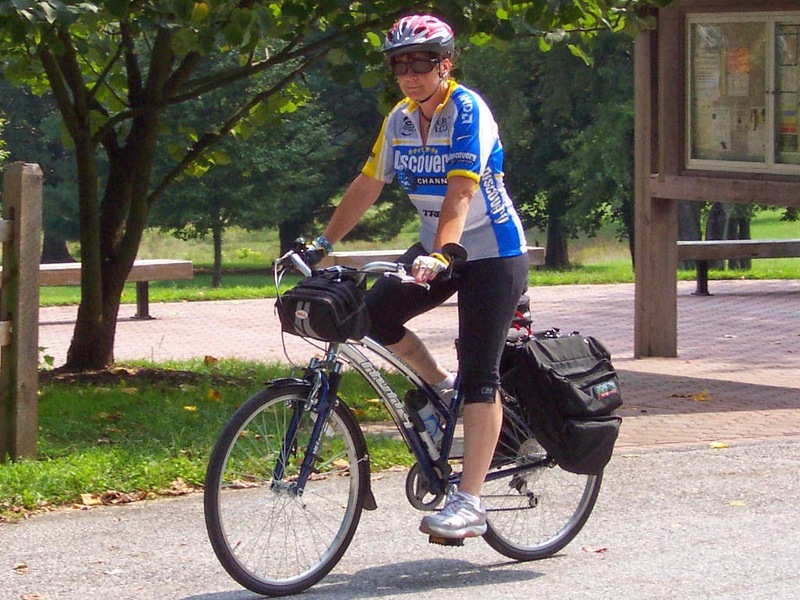 The Northern Delaware Greenway (NDG) is perhaps one of the most beautiful trails in the state of Delaware, extending from the Brandywine Creek in North Wilmington all the way to Governor Printz Boulevard. The image below shows the NDG as it exists presently. 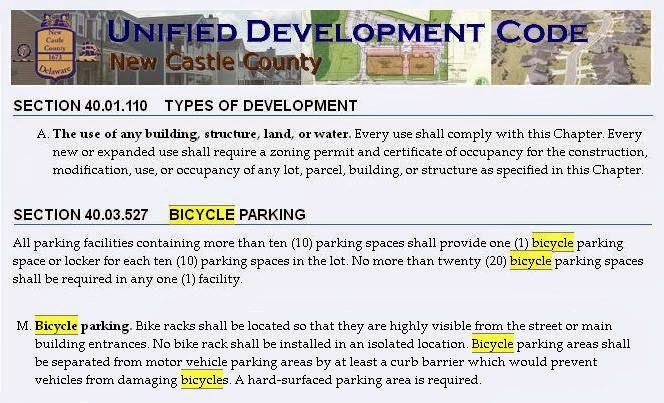 You may notice to the far left, there is a separate trail that continues as part of the bicycle route to Newark. 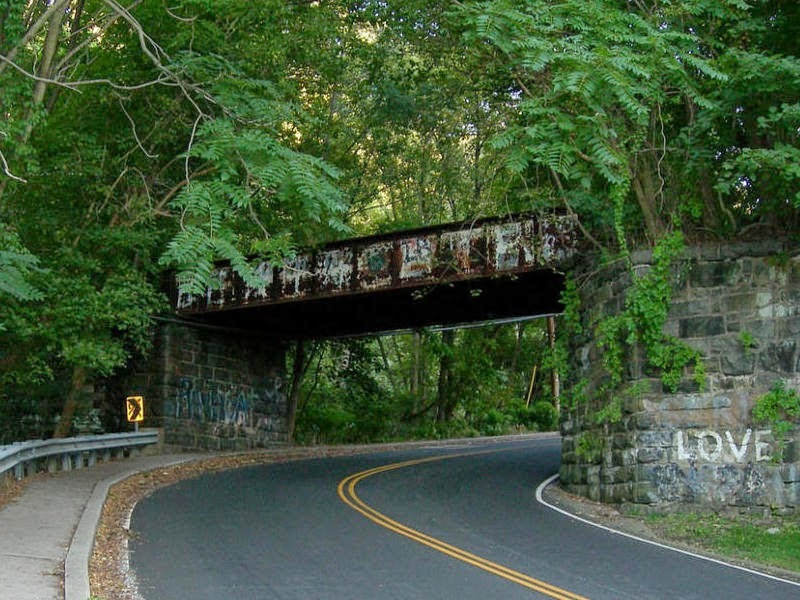 There is a small section of overgrown abandoned railway near Bancroft Mills on Route 52 that, if cleared out and utilized, would extend the NDG and offer a host of benefits to cyclists and pedestrians in the area. 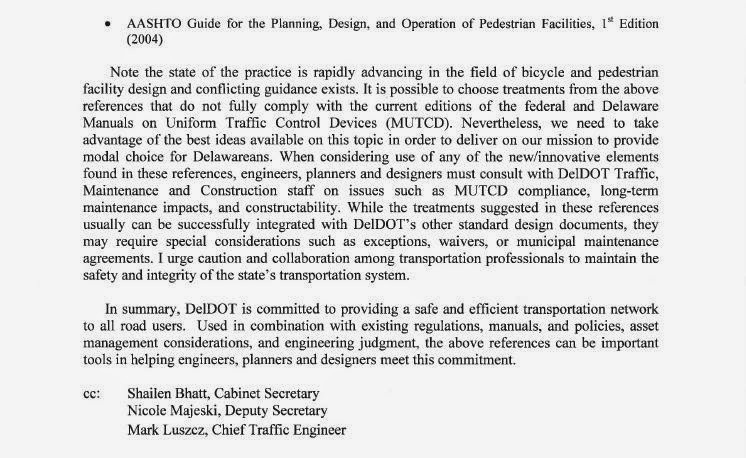 The Problem: Delaware Route 52 (near where Pennsylvania Avenue becomes Kennett Pike) is dangerous to cross, and even more perilous to ride or walk along. 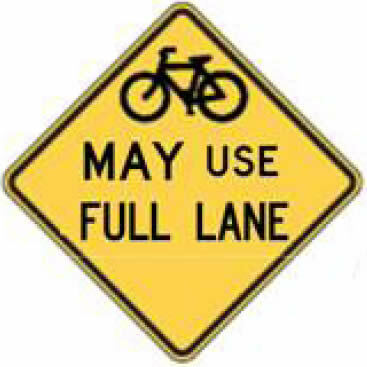 There is no bike lane or shoulder available, and the road has a high speed limit and high volumes of traffic. Exiting the NDG at its terminus at Bancroft Mills requires climbing a very steep hill along Rockford Road before merging onto Route 52, which serves to exhaust the cyclist along Route 52, and lengthens the time they spend on this dangerous road. Nothing is worse than being screwed! The Northern Delaware Greenway’s public crossing over the Brandywine River is in Bancroft Mills, and it is open only to bicyclists and pedestrians. 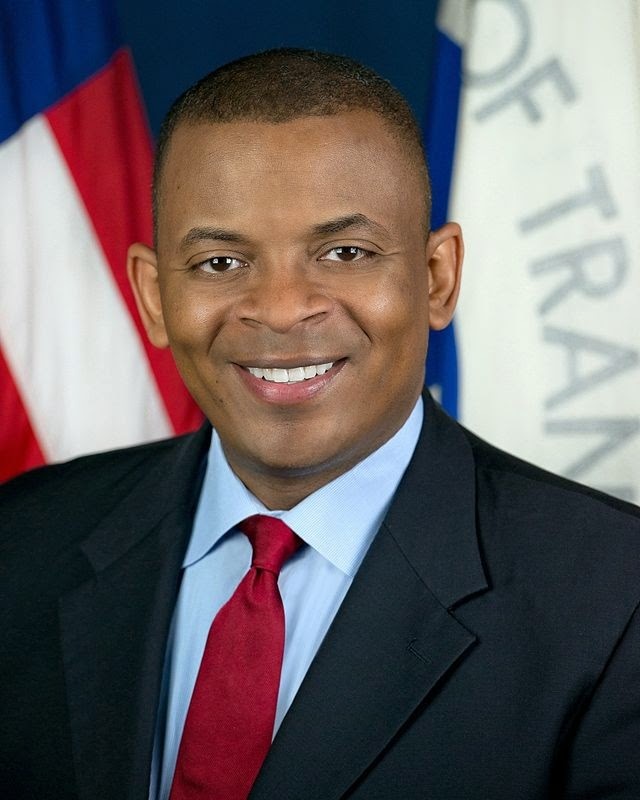 It is an absolute necessity to safely cross the river, and it is commonly used as part of a bicycle commuter route that runs between Newark and Wilmington. 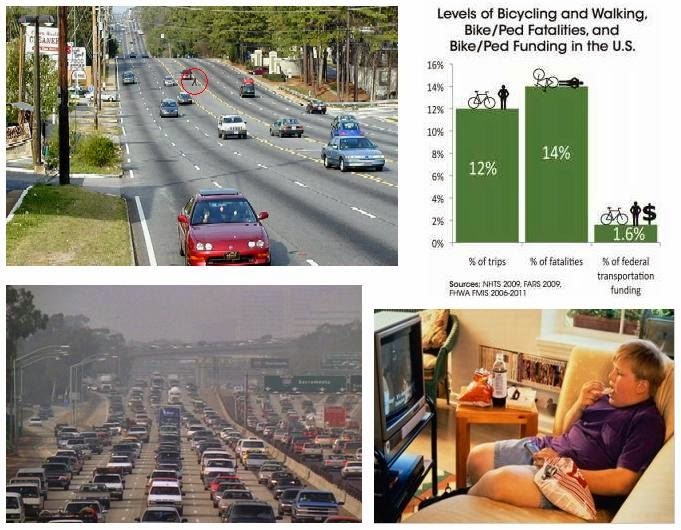 The nearest other bridges, New Bridge Road and the Tyler McConnell Bridge, are very unsafe to travel on for a bicycle or pedestrian, as is the roadway (Powder Mill Road) that these two bridges connect to. Powder Mill Road has neither a shoulder nor sidewalk. 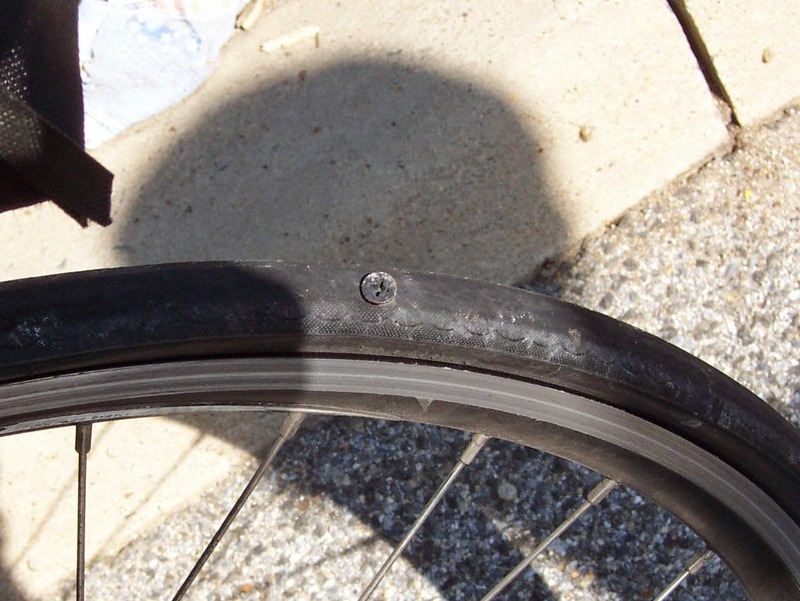 As Delaware Bikes advocates can attest, the Tyler McConnell Bridge has hazardous pits of sand and gravel hiding screws and other roadway debris. Therefore, the Bancroft Mill Bridge is a preferred destination for those seeking to cross the Brandywine River. However, once on the west side of the Brandywine River, the safe options for egress from the trail are limited. 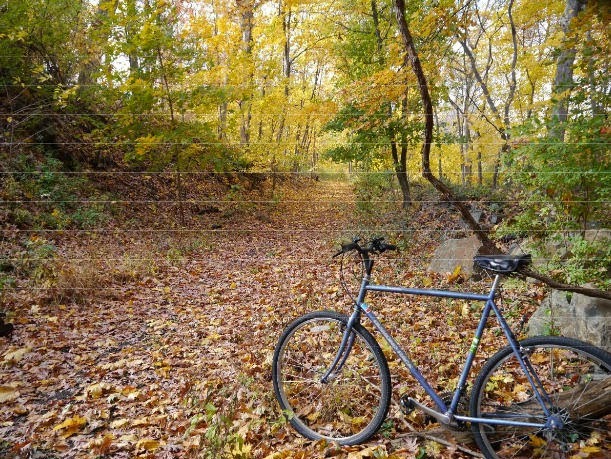 The Solution: We propose that the three-mile portion of abandoned railway near Route 52 and Bancroft Mills be utilized as an extension of the NDG in order to provide a safe, scenic and convenient trail for cyclists and pedestrians. 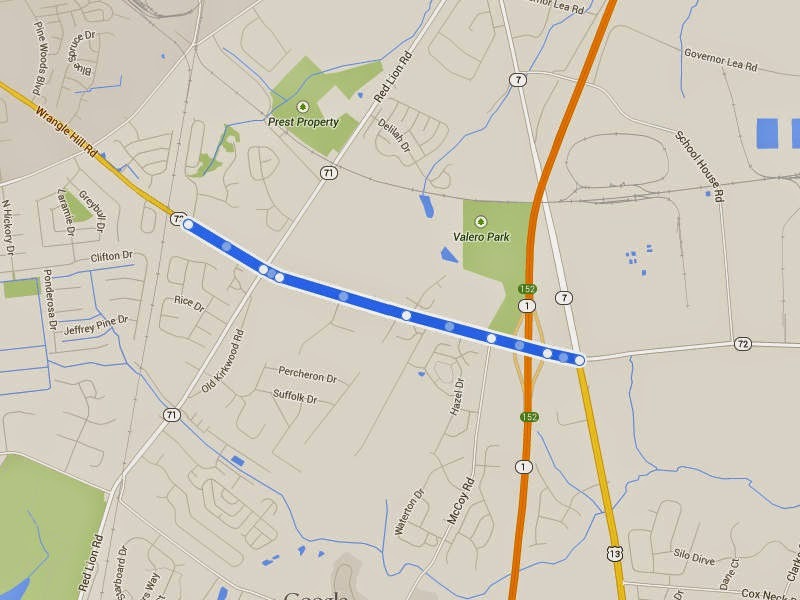 This would bypass quite a lot of Route 52 for those headed to or from Newark. Opening this trail would involve clearing away any vegetation that would impede trail-users; stabilizing the trail as necessary using ballast, stone dust, etc; creating a platform through the tunnel underneath of Route 52, and resurfacing the old railroad bridge over Rising Sun Lane so as to be pedestrian and bicyclist friendly. There are two railways that once serviced Bancroft Mills and what is now the Hagley Museum, and each is in remarkably intact condition many decades after abandonment. The proposed trail uses the upper railway, which primarily serviced Bancroft Mills. 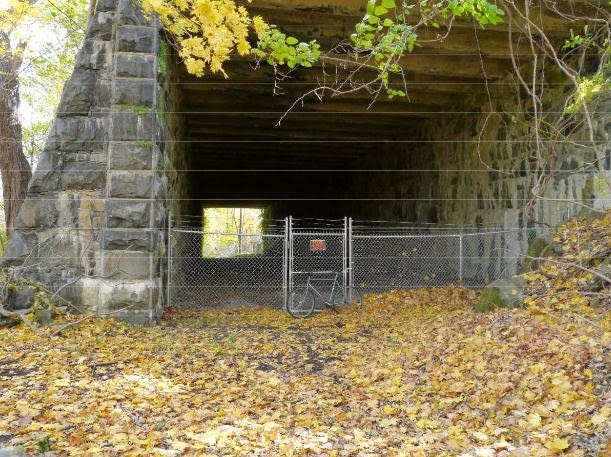 The proposed NDG trail extension includes many wonderful sights, such as Delaware's only railway tunnel. And stunning scenery of the Brandywine River and valley! Stay tuned for the second and final part of this series, where we'll discuss the NDG's many valuable connections, and a recommendation for the western terminus followed by a Q&A session. 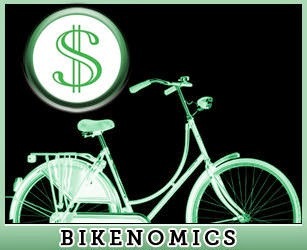 I’m my neighborhood’s “bike guy.” The advantages of being “that bike guy” are actually really numerous. 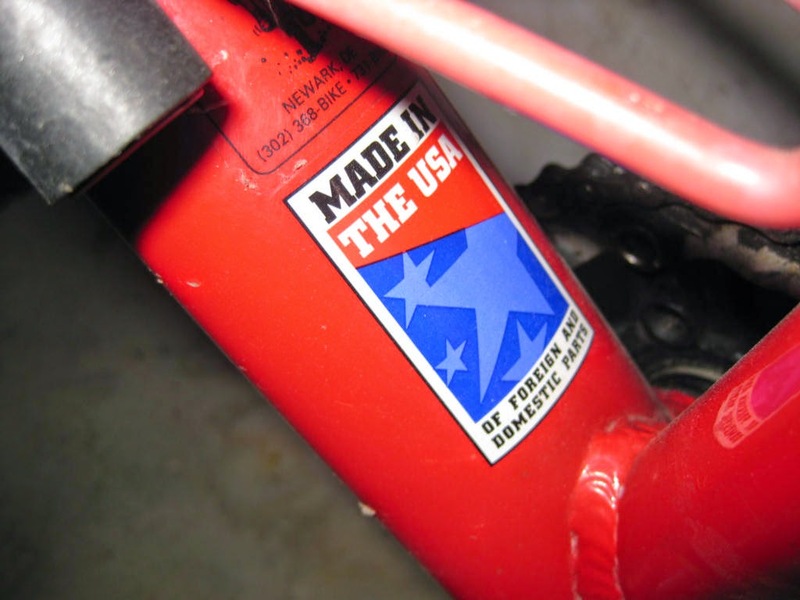 The more bikes you have, the more inexpensive it is to own and use your bike from a maintenance and acquisition standpoint. How inexpensive? Wholesale made it so that the total restoration of my commuter bike (the tires were the most expensive part) cost me under $30, including tubes, gel handlebar tape, rim tape, grease, cables, and brake pads. Yes, it was mostly DIY and took some time with labor, but that’s why being the bike guy has its perks: I can do it myself. I’d bought my tools for various restorations in the previous years that I’d long since let go. What floored me recently was that for $30, I had bought a means of transit that I utilized to get from where I was living to my place of work. This was a trip of almost twenty miles, and I did it while paying nothing, even as I enjoyed the outdoor exercise. 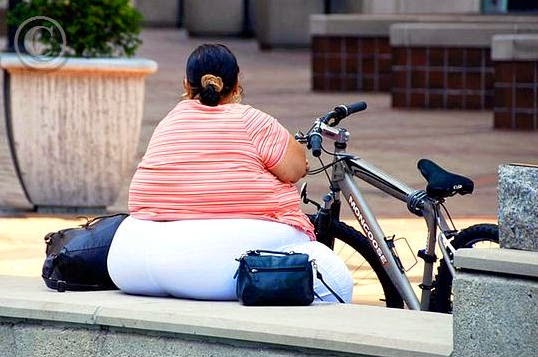 What strikes me as amazing is that I could do that for twenty years on the same bike, and after those twenty years, the bike would still be rideable. The maintenance and upkeep cost is very, very low. 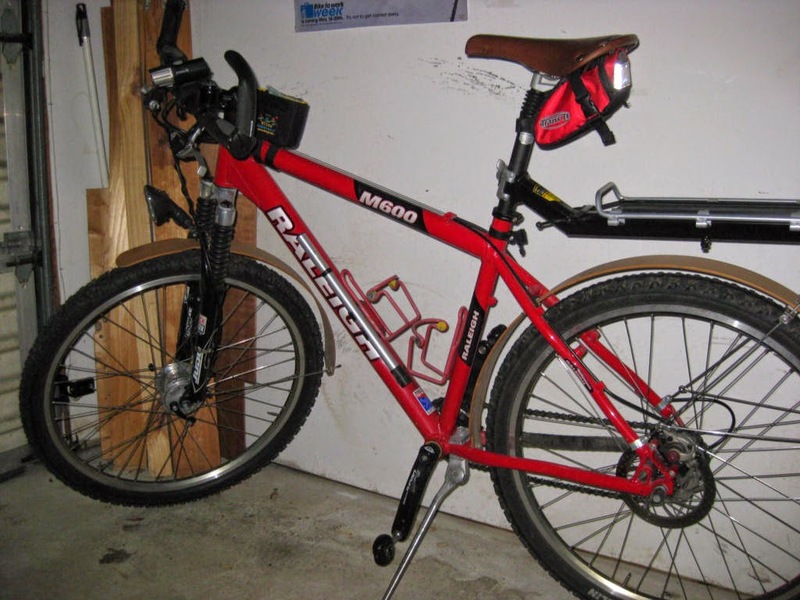 For a basic ten speed steel bike like this one, component failure is rare, and on the occasion that something should break, the component cost is miniscule. There are no parts on the bike that would cost more than $20 to replace with a brand new (and better) component, including the rims. 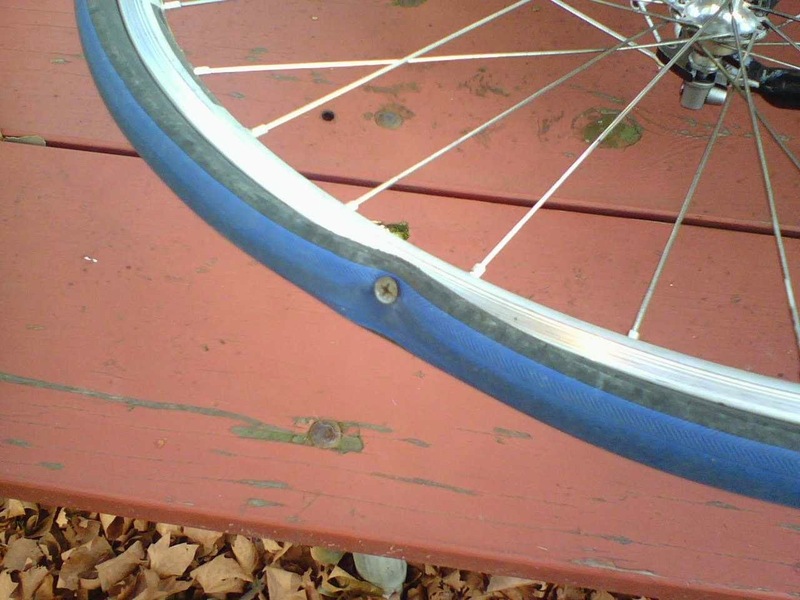 Even if I hit a curb dead-on, replacing the fork costs me a mere $17.50, while a similar component with a car or motorcycle is much more expensive. 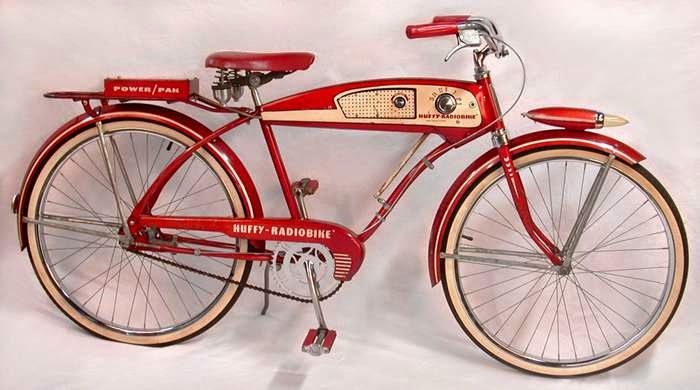 The lack of proprietary parts is a huge reason as to why it’s so easy to keep this bicycle going forever; an antique car will eventually become hard to find parts for, as an example, but a lot of brands are still manufacturing decent classic components for these antique bikes, and each brand will work if paired with another. What was weird to me was that I encountered so few other people on bicycles on the beautiful trail that I used to get to and from work. 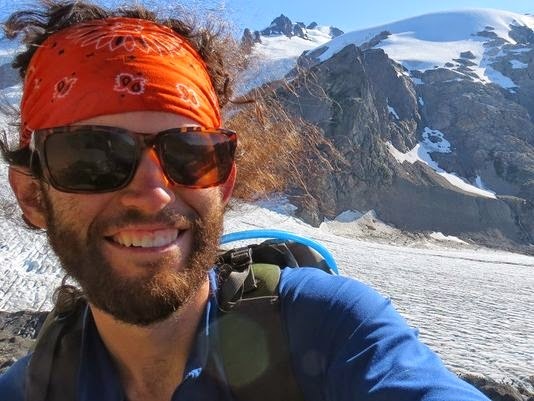 I felt like I had discovered the secret to economic frugality, a way to get outdoors, ecological friendliness, and found a quick-and-easy fitness regimen all in one, and that nobody else had found it yet. I felt liberated from all the obligations of driving a multi-ton machine that could maim or kill if I looked away to enjoy the scenery for even a second. I also didn’t have to deal with the hassle of worrying about a license, my registration, tolls, speed limits, vehicle inspection, odd clicking noises from the engine, or ever getting stuck in traffic. Encountering the morning rush and leaving work at 5:00 was no longer a worry for me, either, because I would just ride past cars that were stuck in traffic up the shoulder. Sure, there was the occasional person clad entirely in lycra who was out to train for a sporting event that I might encounter on a weekend, but there were almost no other cyclists on the trail with me. Funnily enough, by riding to work every day, I became a very strong cyclist- when I did encounter someone out there, no one on these trails could keep up with me. 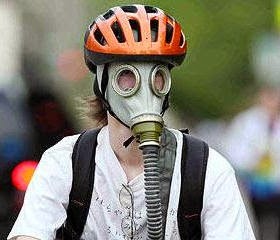 Yet whenever I got into the shop and someone asked for ‘ways to go faster,’ if I recommended riding to work to become a stronger rider, they would look at me like I had just suggested soaking their heads in ammonia. I occasionally see one of my fixed up classic bikes out on the road, and when I see that, it makes me very happy. 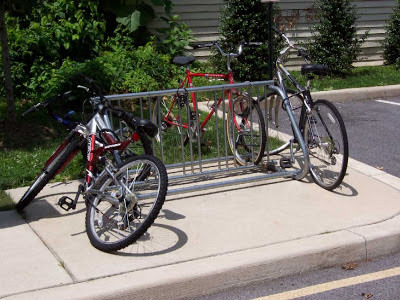 I’m sure some ended up back in someone’s garage gathering dust, or a few end up only being used for sporting events like triathlons, but when I see a bike of mine chained up outside an office, I feel like this is all a part of the house that I built. 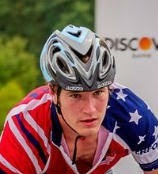 One more rider. Joel Schwaber lives in North Wilmington. 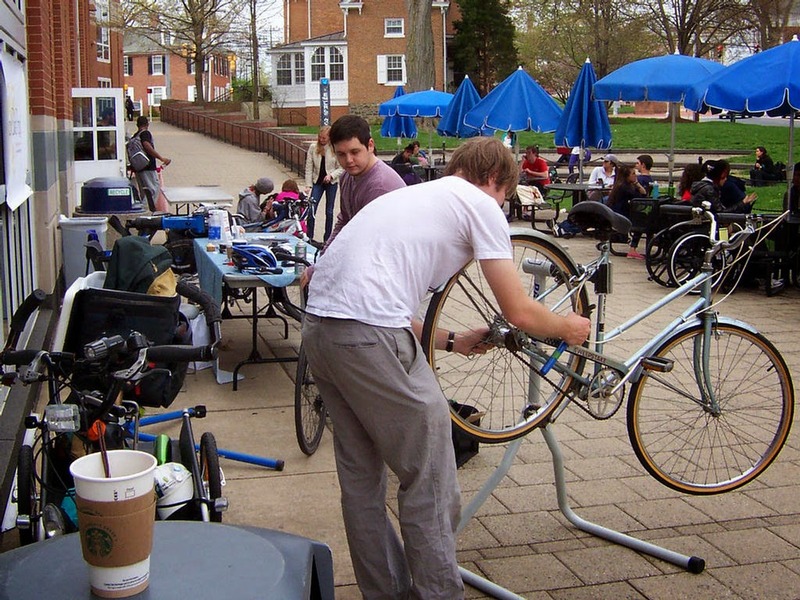 A caring advocate, he operates the Wilmington Bike Recycling co-op. 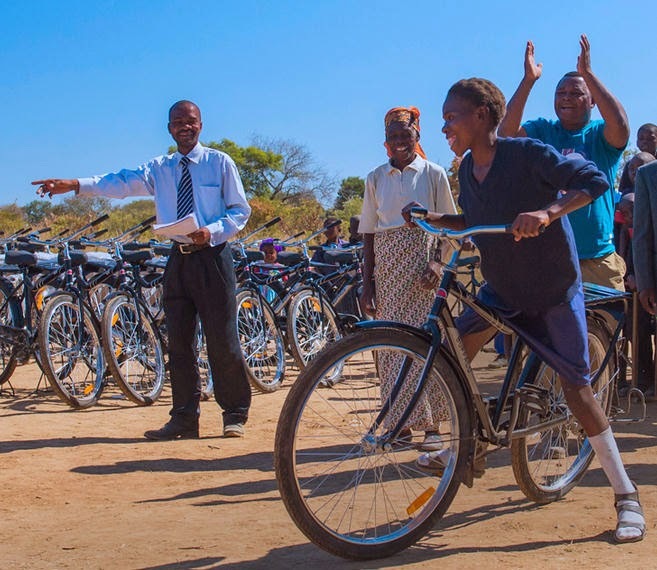 Joel's only goal is to put more people on bikes, at little or no cost. 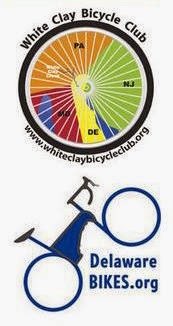 Email Joel at schwabthedeck@gmail.com if you would like to volunteer to help, or donate a bicycle(s).